When we used the basic version of WeeSearch, we came a way a little less than impressed. While the pro version of WeeSearch isn’t perfect, it’s a lot better than its predecessor. With WeeSearch Pro you can search a variety of built-in search engines. If that doesn’t suit your fancy, you can even add your own custom search queries. WeeSearch Pro may look a lot like the original WeeSearch at first glance, but a quick trip to the Widget’s settings quickly clears up that misconception. There are lots of options contained in WeeSearch Pro, and the nice thing about it is that you never have to leave Notification Center. 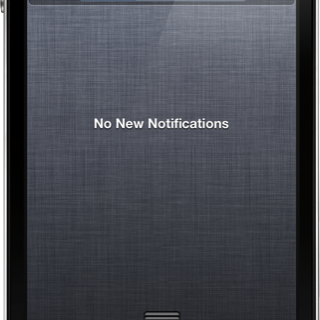 Yes, even the settings are configured directly from Notification Center. 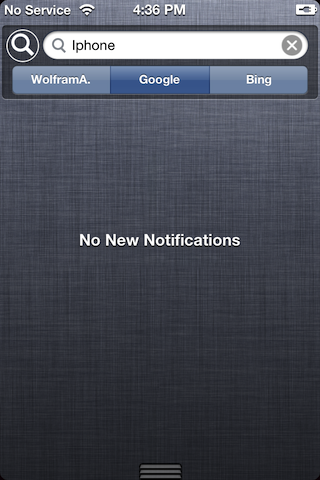 This is a definition of a well designed and self contained jailbreak widget. WeeSearch Pro contains 10 built in search engines, but in reality there is no finite number thanks to the ability to edit and create your own custom search queries. My favorite thing about WeeSearch Pro is the “mini browser” mode, which eliminates the need to open search queries in a separate Safari browser. 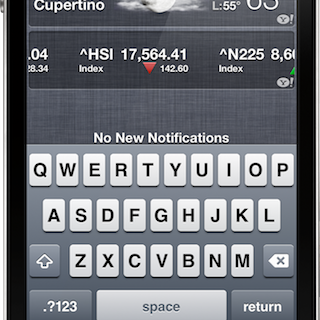 This allows the Notification Center to retain focus, and for searches to be performed in a more efficient manner. If you’re convinced and your iOS 5 installation is jailbroken, you can purchase WeeSearch Pro from Cydia’s BigBoss repo for $1.49.